Unsubscribe to ads.Unroll.Me might be one of the easiest ways to remove temptation from your email inbox. The tool collects all of those advertising emails sent to you from retailers -- and anyone else who uses a bulk emailing list – and puts them into a daily "rollup" email you can peruse whenever it's convenient. That way, you won't get spammed all day, and you can still catch emails that matter to you. Getting the latest shopping tips. Run by Lisa Koivu, a former contributor to the U.S. News Frugal Shopper blog, ShopGirlDaily.com keeps you abreast of the latest trends in the retail world, including the best ways to score a deal or where to find the best price for fall boots. She also publishes gift guides and information on affordable subscription boxes. Stop paying for shipping. Before you make any online purchase, a stop at RetailMeNot.com is in order. 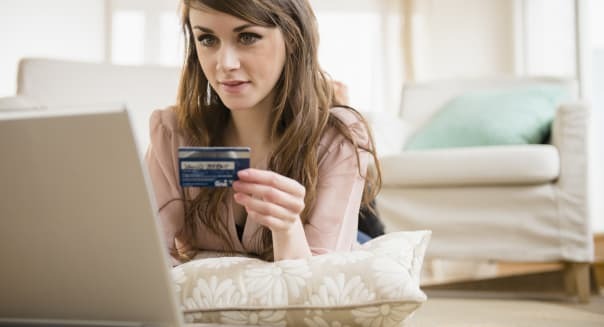 Not only does the site collect coupons, but it also tracks free shipping codes and other discount information that can ensure you get the best deals available at tens of thousands of stores. Consider already-opened products. Just as a new car loses value as soon as it's driven off the lot, new products also lose value after a customer opens them and then returns them to the store. That's where Blinq.com comes in. The site partners with retailers to sell discounted items to customers who don't mind minor signs of use or the fact that the packaging has been opened. Get cash back. A slew of new sites offering cash back have popped up to help you save at checkout. One popular option, Ebates.com, lets you opt for scheduling in-store pickups instead of delivery, if that's more convenient for you. The pickup option also guarantees you don't pay for shipping. Layer gift cards. The gift card layering method is another frequently used tool by savvy shoppers. If you know you have to make a purchase from a certain retailer, such as Starbucks or Amazon, you can first purchase a gift card that comes with a discount. For example, at GiftCardGranny.com or Raise.com, you might be able to buy a $50 gift card for $40, which shaves an automatic $10 off your purchase. Use more coupons. You might have already incorporated coupons into your shopping routine, but you can probably find even more if you visit coupons.com. The site lets you search for items by categories, such as apparel, food and personal care, so you can make sure you get the best deals for items on your shopping list. Get Amazon deals. If you buy frequently from Amazon, then you'll want to visit camelcamelcamel.com to track specific items on your list. The site will let you know as soon as prices drop on Amazon so you can time your purchase to get the best deal. Grab a group coupon. They're no longer the hot new thing in the coupon space, but LivingSocial and Groupon can still alert you to amazing deals. You often have to act quickly to get a voucher, and smaller, local restaurants can get crowded after a sale, but the sites let you try new things, from massages to smoothies, for cut-rate prices. Don't forget to be social. With banks and retailers increasingly communicating their best deals over Twitter and Facebook, it can literally pay to follow or friend them. You can also use social media to request refunds or report problems, which can translate into savings. Just be sure to keep personal information like account numbers offline or in private messages.